You can bet Dad takes coffee breaks at his office job, so why not Mom? 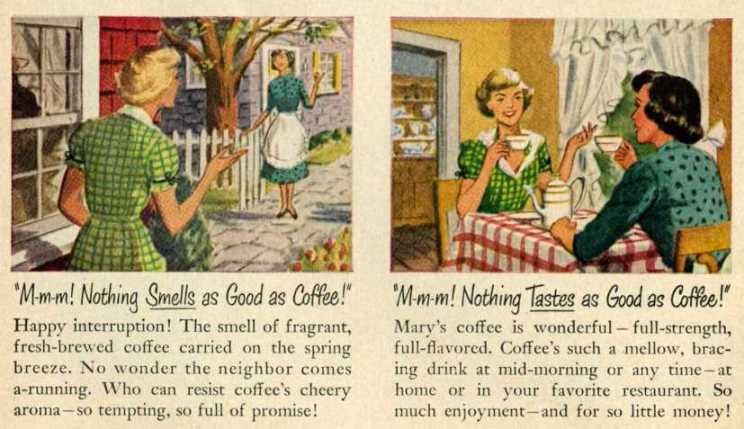 After all, nothing tastes or smells as good as coffee. Before happy hour, that is. And Mom works super hard. “Such a mellow, bracing drink.” Yes, that’s exactly how I feel about it. Just like invigorating sea air. You know, before there was texting or internet or TV after 10pm, America had a lot of time on its hands. Time to read 500-word ads on products they already used. And they appreciated informational tidbits that didn’t require an encyclopedia. 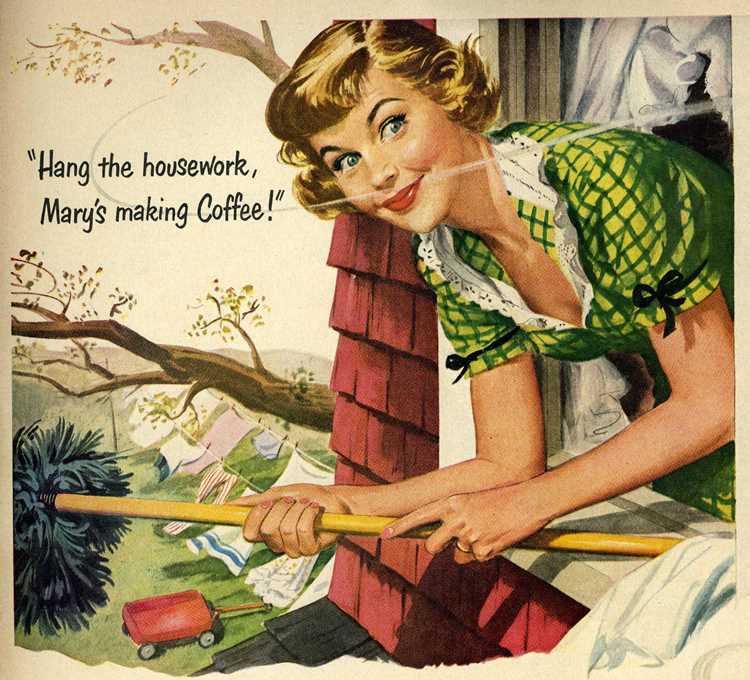 Yep, that’s exactly how happy blonde senoritas dressed as they picked coffee beans, in off-the-shoulder frocks and matching handkerchiefs. 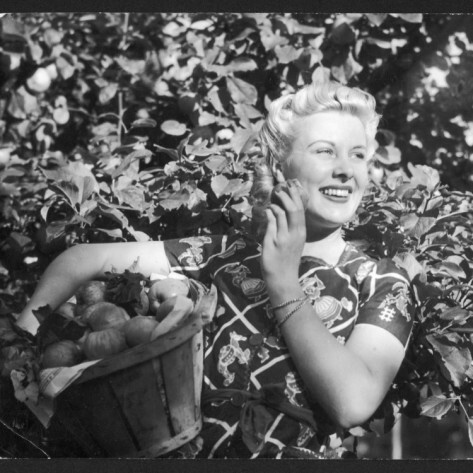 Apple-pickers set the precedent back in the 1940s. See for yourself how put-together this lady is. Why, even her roots look good! I better start accessorizing when I go rip figs off our tree out back. I’ve really dropped the ball on that one. All of those ladies looked so darn perky in those ads. I think if I had to deal with such a person at 6 AM I would throw a cup of coffee at them. If they think nothing tastes as good as coffee wait until they try it with Baileys. Ummm, what’s the brand being advertised? Ha! We still have a few things advertised that way here in Canada – milk, cheese, grain, – but they all have (gasp – this is hard for an American to hear, so brace yourself!) marketing boards. It is going to get us into hot water and already has started with the latest trade negotiations. Americans also have some iffy agricultural subsidies -it is just so hard to let the farmers suffer when they provide virtually all our food.